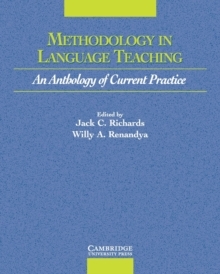 This collection provides an overview of current approaches, issues, and practices in the teaching of English to speakers of other languages. This book provides an overview of current approaches, issues, and practices in the teaching of English to speakers of other languages. The anthology offers a comprehensive overview to the teaching of English and illustrates the complexity underlying many of the practical planning and instructional activities it involves. Organized into 16 sections, the book contains 41 seminal articles by well-known teacher trainers and researchers. Also included are two sets of discussion questions - a pre-reading background set and a post-reading reflection set. This anthology serves as an important resource for teachers wishing to design a basic course in methodology.